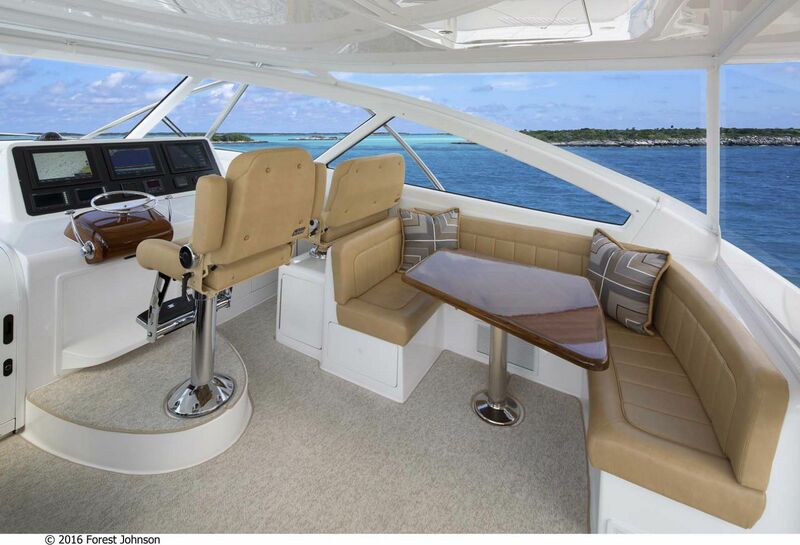 The Viking 52 has been so immensely popular since the 52 Convertible first dropped that three additional versions were created – the 52 Open, 52 Sport Tower, and 52 Sport Coupe. 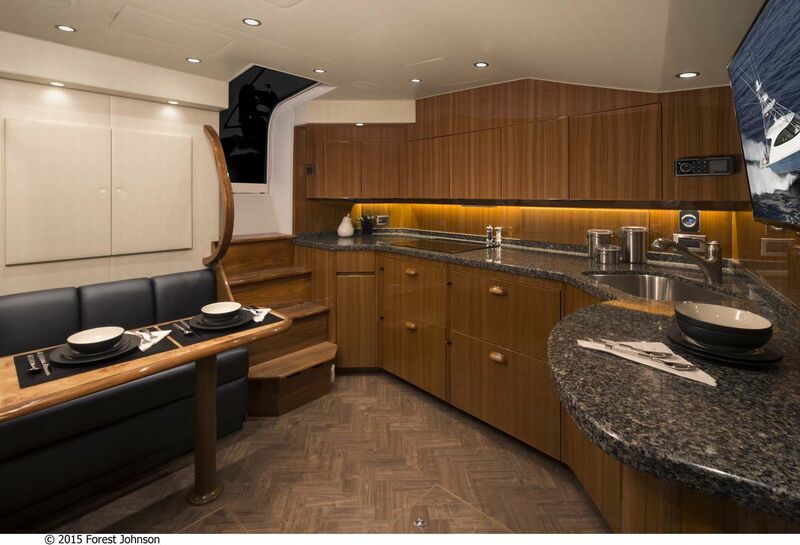 With a hull shape and deadrise designed specifically for planing efficiency and a light, but durable hull made from the finest composites and Viking’s resin-infusion techniques, the 52 Open is a perfect example of the craftsmanship coming out of the New Gretna factory. 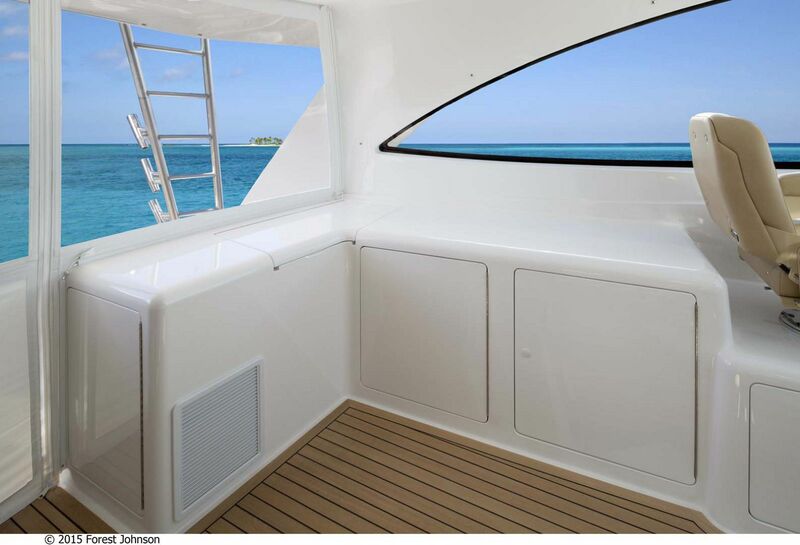 The stylish new deck includes a wrap-around windshield for protection from bad weather with still having excellent visibility. 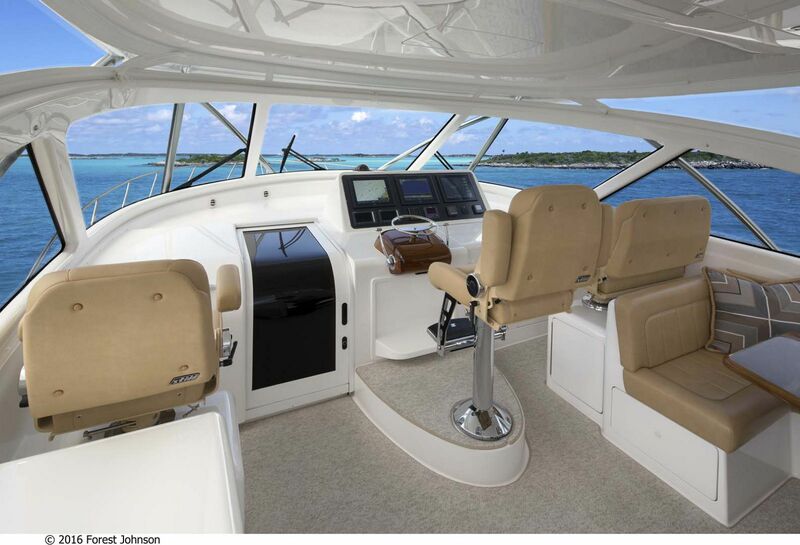 Owners wanting the ability to cruise, an open setting to enjoy the outside, and a tower for serious fishing, will love the versatility of the Viking 52 Open. 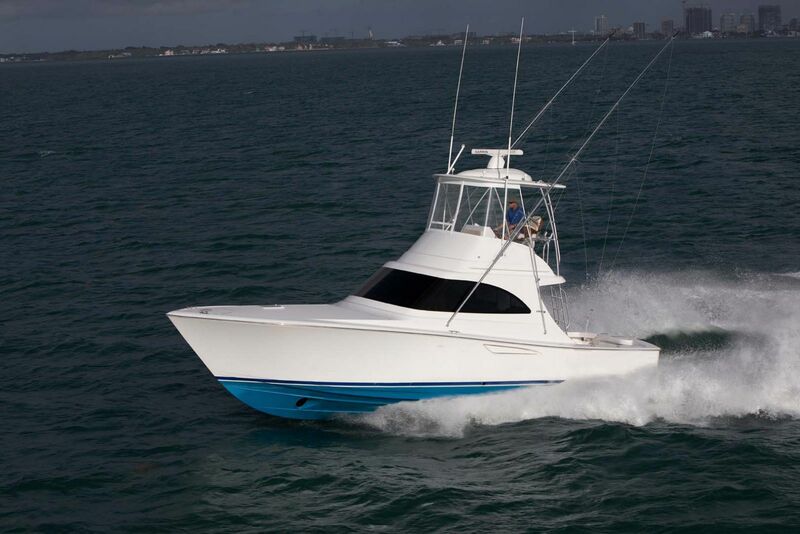 For the cruiser that still likes to get some fishing in, the Viking 52O is designed with a 142-square foot cockpit. 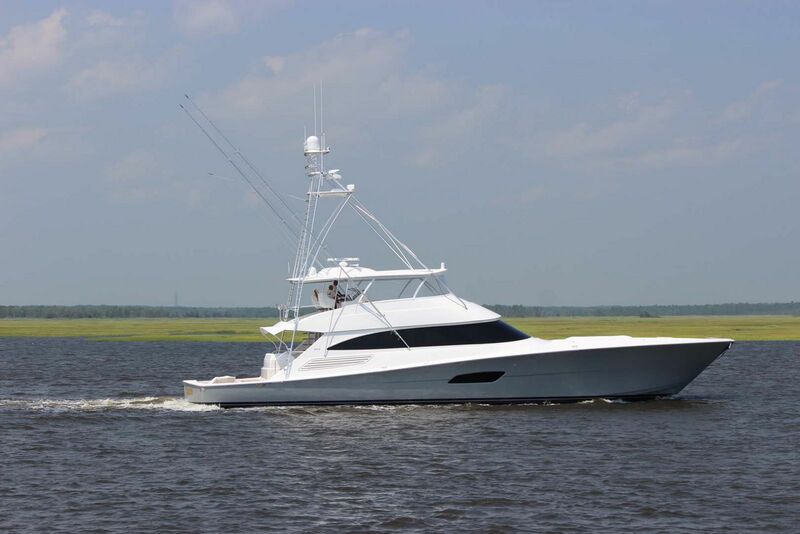 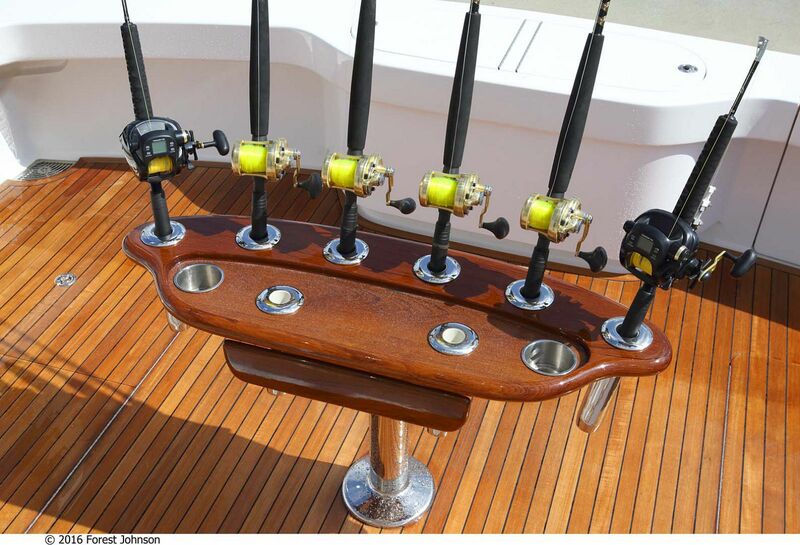 Since this is a Viking, owners will enjoy all of the fishing features including freezer, cooler, in-deck fish boxes, storage for tackle, rod holders, and a transom door. 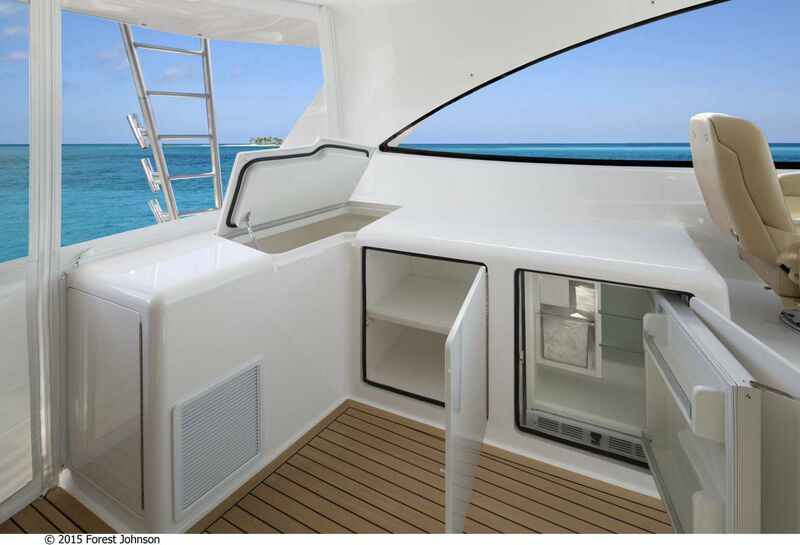 Viking’s signature mezzanine seating is also built on to the cockpit for extra outdoor seating. 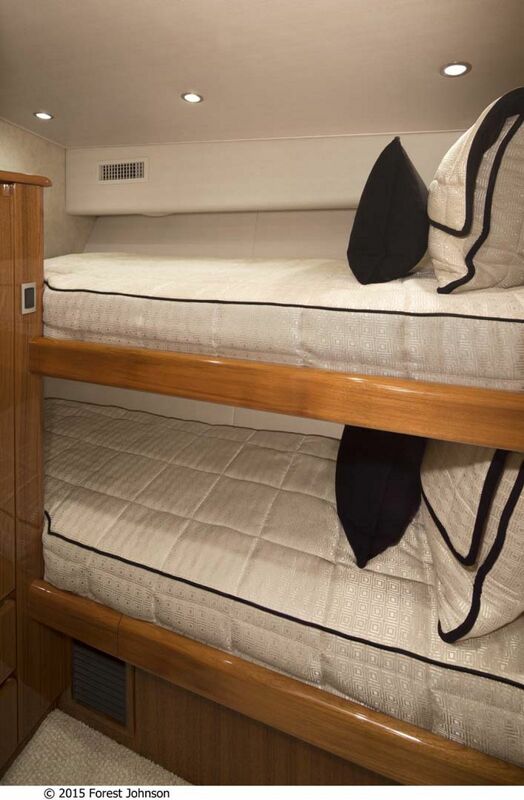 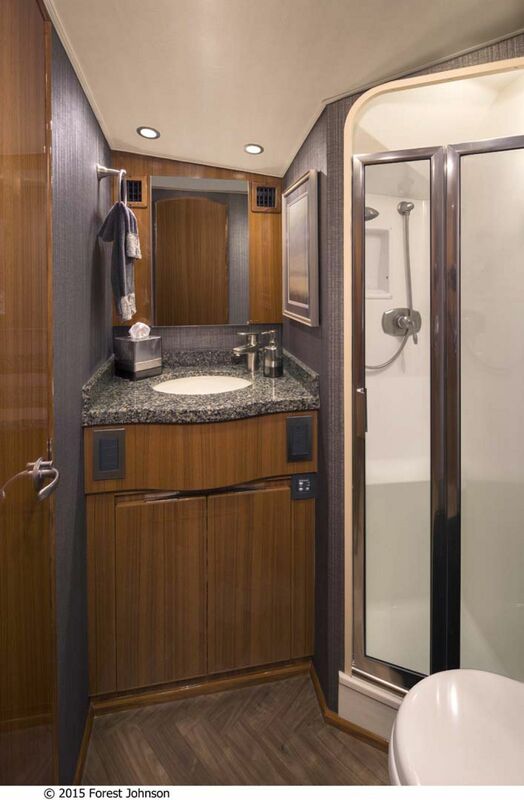 Because Viking opted to design the 52 Open with a 17’6” beam, the inside accommodations are larger than what you would expect on a 50-foot cruiser. 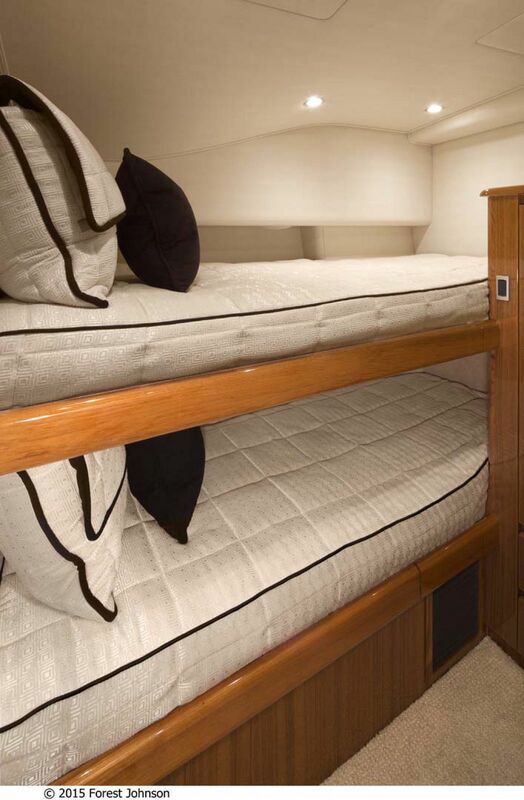 The master stateroom is placed forward on the boat and includes a queen-sized walk-around berth with ample storage opportunities and luxurious appointments throughout. 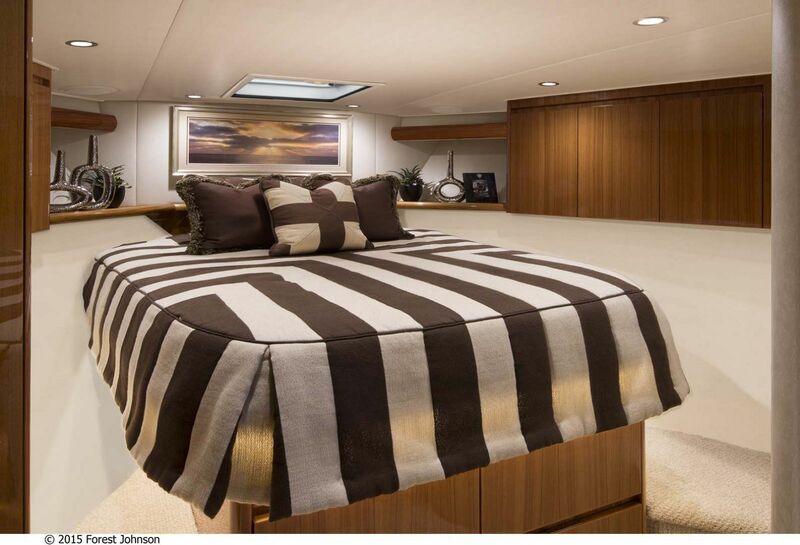 The master suite has its own head and shower giving owners privacy when guests are on board. 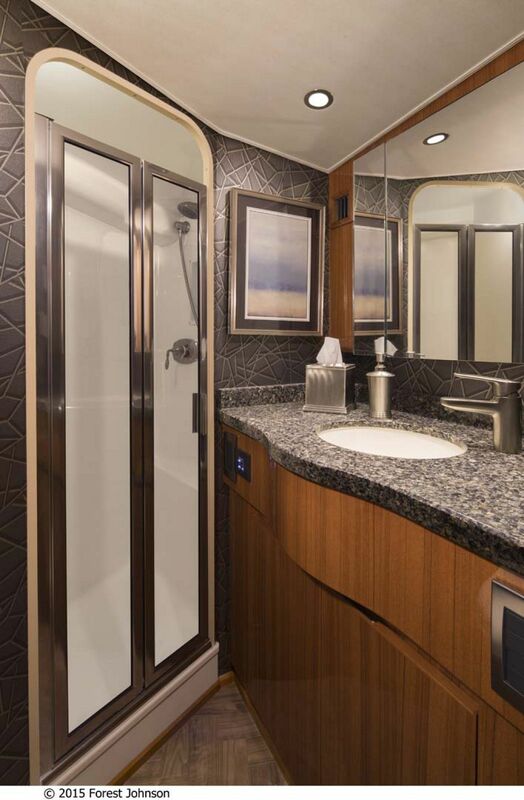 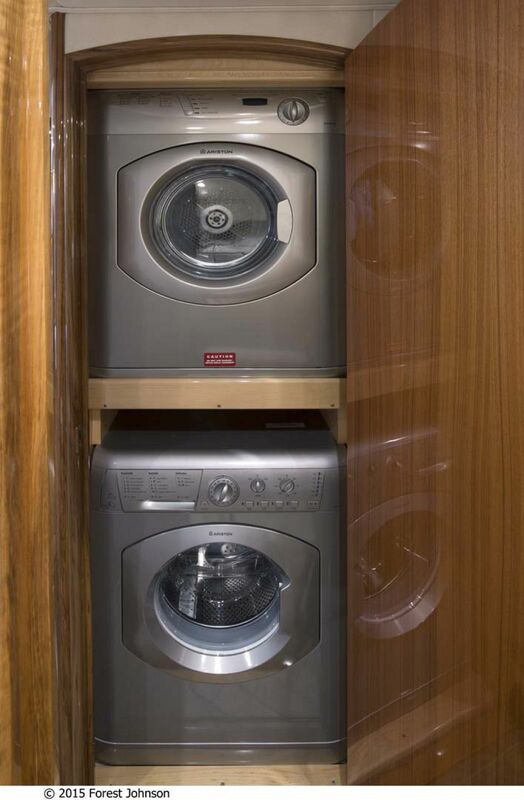 There are two additional staterooms on board that share a head and shower. 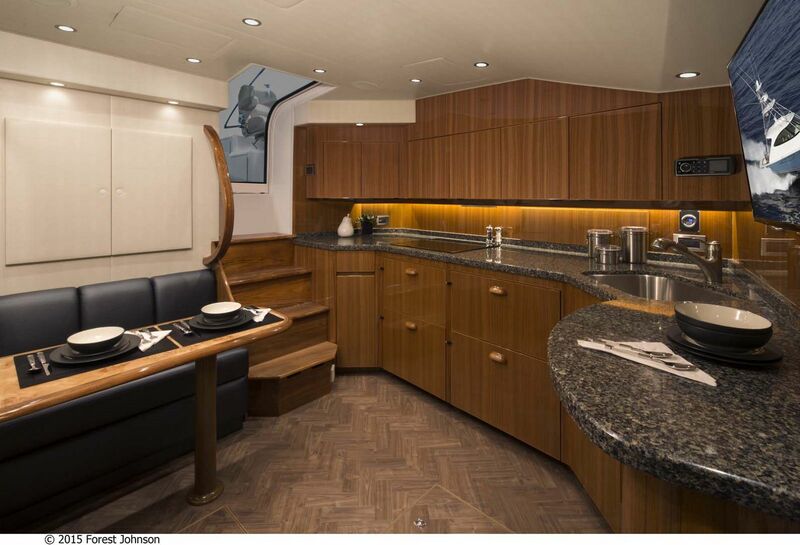 The salon and galley are an open design concept on the 52 which gives the person cooking in the galley that ability to interact with the guests sitting on the L-shaped. 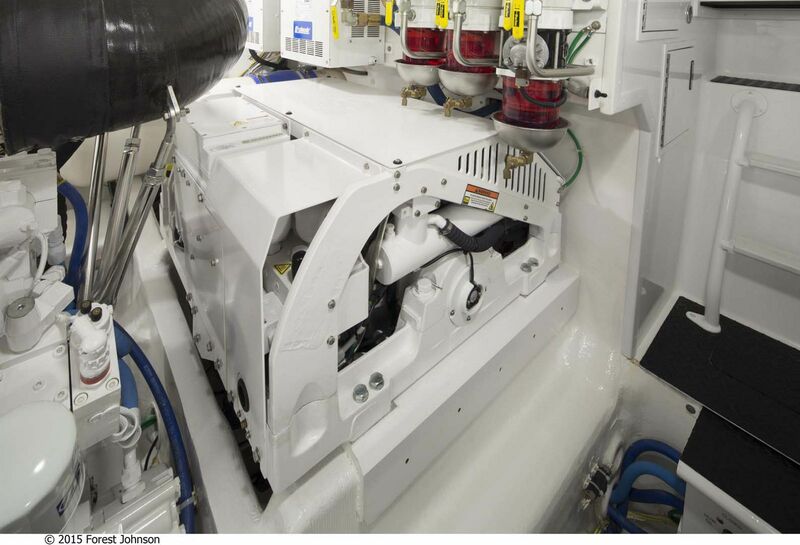 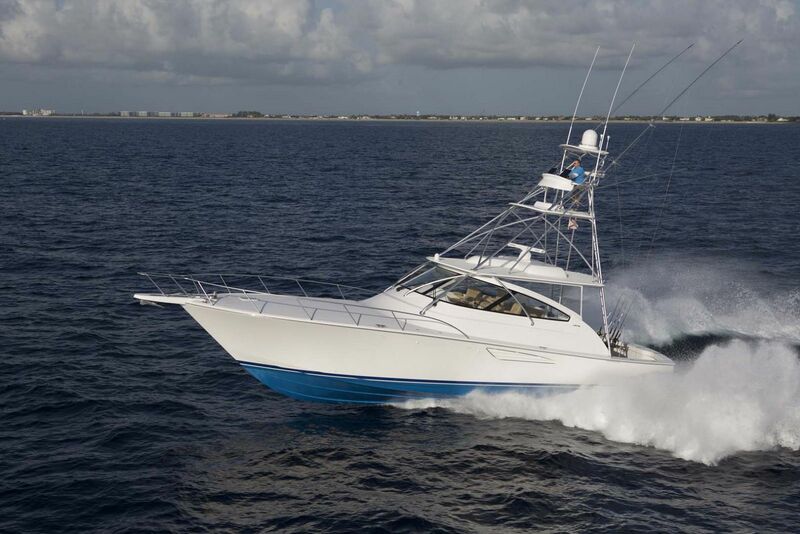 Viking has given owners several options when it comes to powering the Viking 52O. 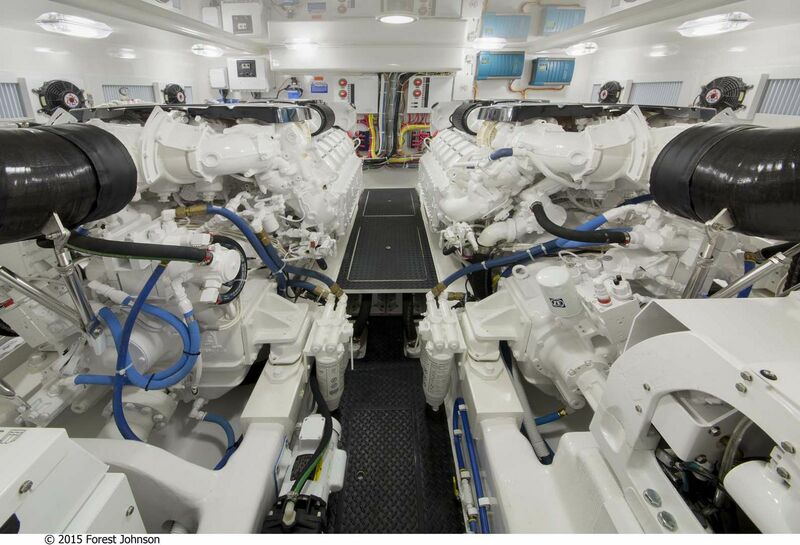 The base engine option is the MAN V10 1100hp diesels, but those in need of more power and speed can opt for MAN V12 1360hp engines or 1550hp engines. 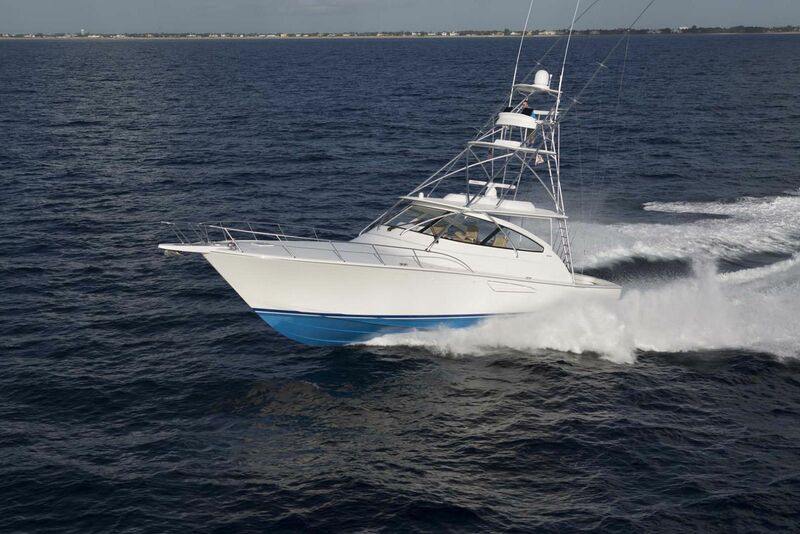 Contact your Staten Island Yacht Sales Professional today for more information on the Viking Yachts 52 Open. 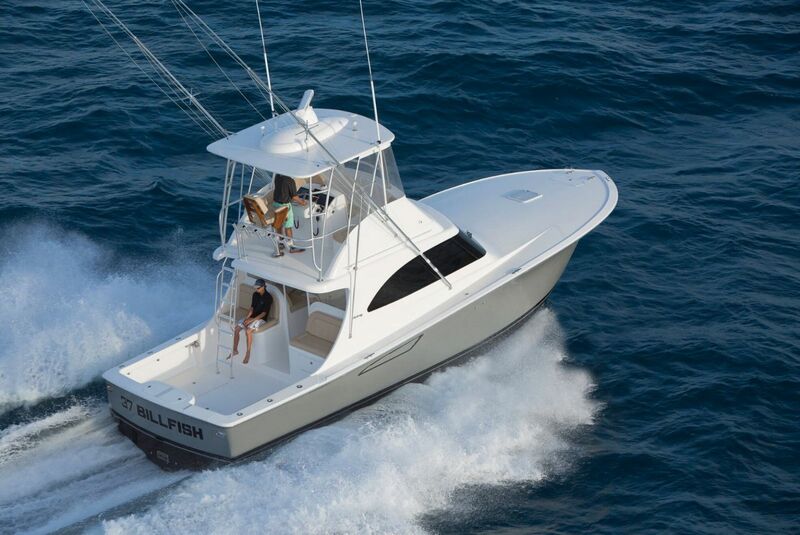 Marlin Magazine reviews the Viking 52 Sport Tower. 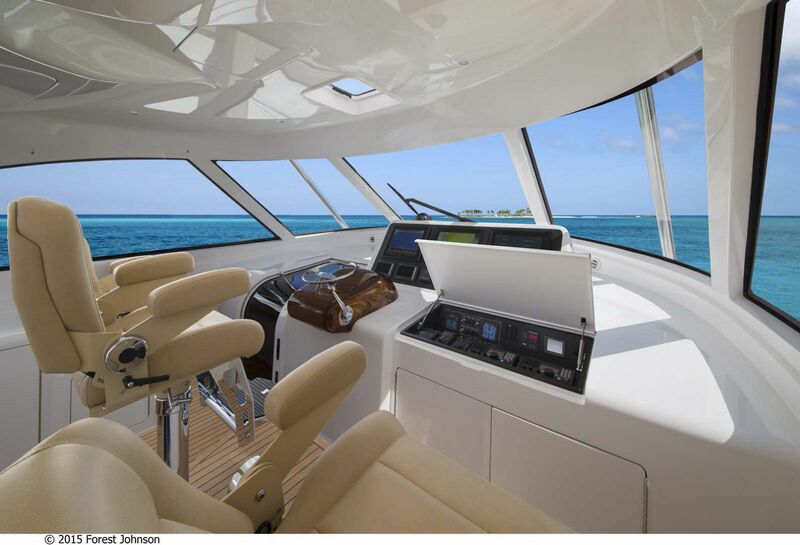 TopSpeed.com reviews the Viking Yachts 52 Open. 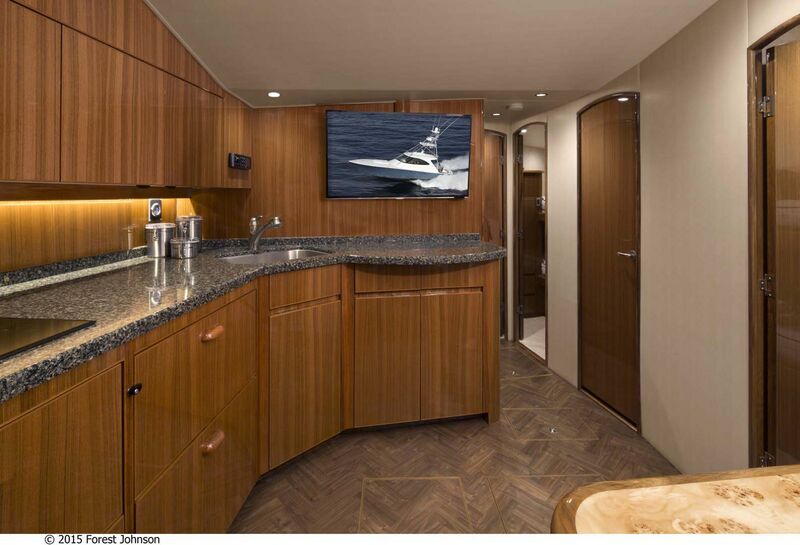 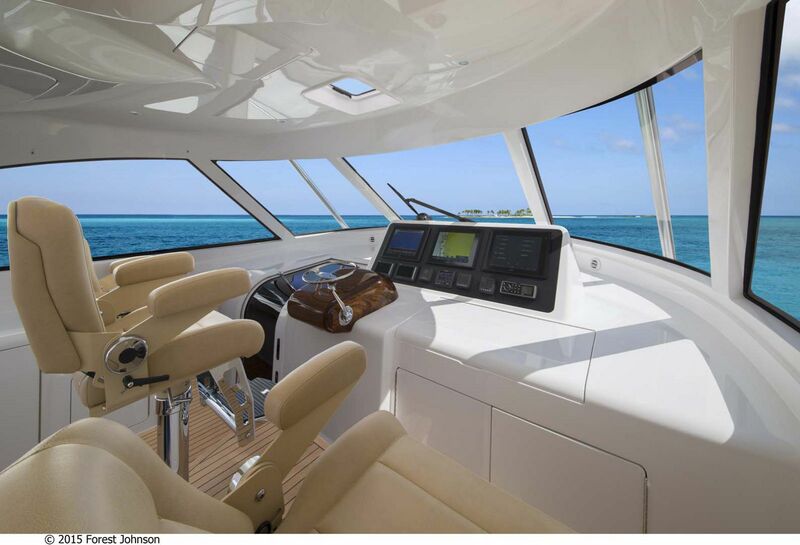 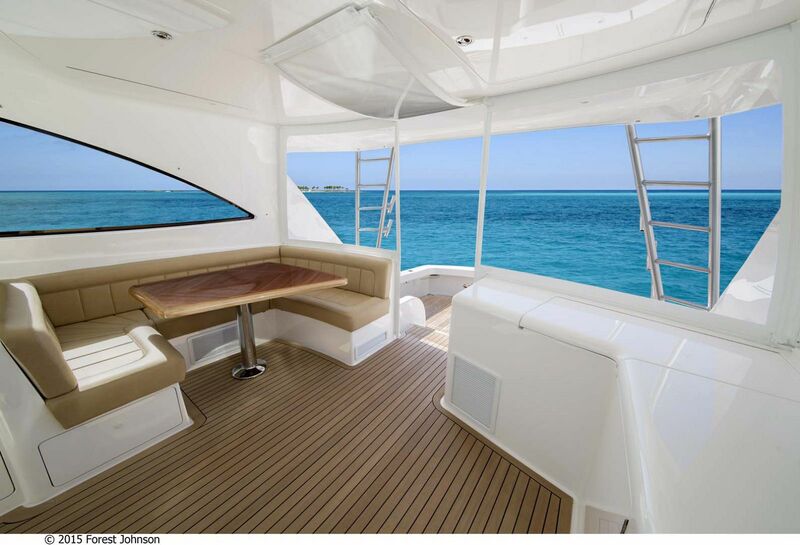 Viking Yachts created a virtual tour of the 52 Sport Tower. 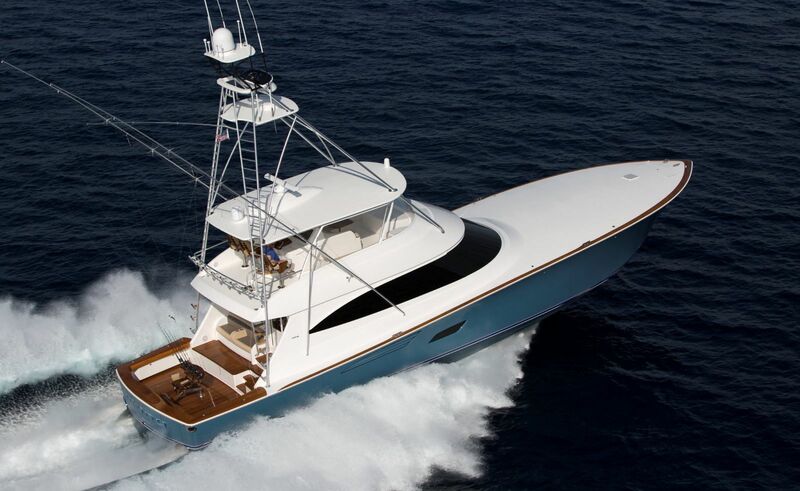 Viking released this drone footage of the 52 Open.